This is a rather complicated set of features in the Atrium. There are 4 different confirmation messages that may be used. They are all sent to the email address of the Requester of the job. 1. Manual 'Send Confirmation Email' button. The template for this message is editable by the customer by using the Email Template Editing Tool in Administration/Maintain Email Templates. The name of the template is 'Send Client Confirmation'. 2. Manual 'Edit Confirmation Email' button. This button is available when you unclick the check box next to 'Send Confirmation Email'. When you click the 'Send Edit Confirmation Email' button a form will popup to allow you to edit the contents of the email before it is sent. 3. Automated Client Confirmation when Interpreter is Assigned event. 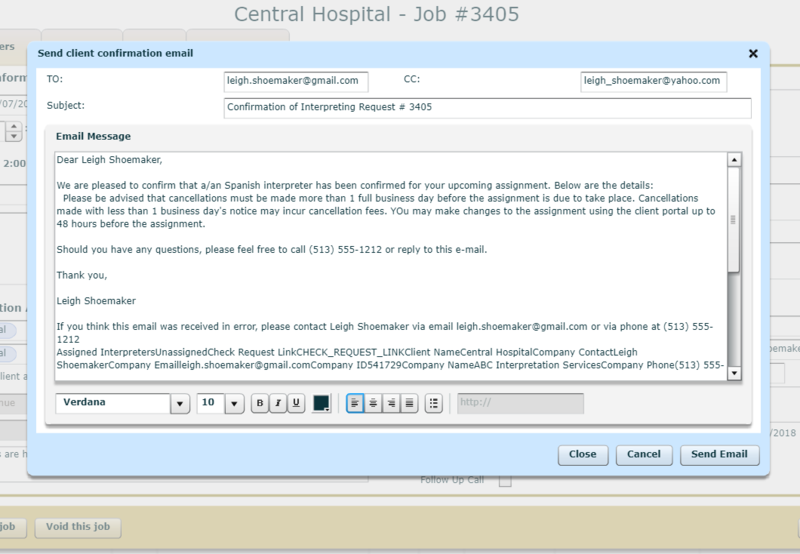 Unless you turn the template off in Maintain Email Templates, when an interpreter is assigned to the request, an email will be sent to the Requester using the 'Inform Client of Interpreter Assignment' template. 4. Scheduled Client Confirmation Messages. This message is configurable for each client. You determine at what time in advance of the appointment the message(s) will be sent and how many of them. While all three potential messages are based on the same template, you can substitute a unique paragraph for each message. As you can see below on the Confirmation Emails tab of the Administration/Maintain Clients menu item, you can turn the messages on or off for a client or choose to send 0, 1, 2 or 3 messages as you like. 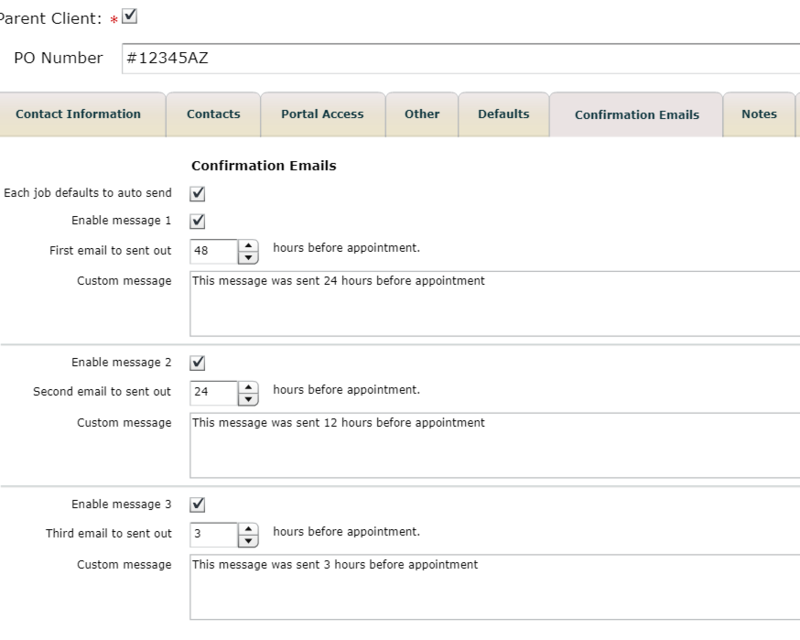 You can turn these automatic messages on or off for a request by checking or unchecking the box to the right of 'Send emails . . .before appointment. '.